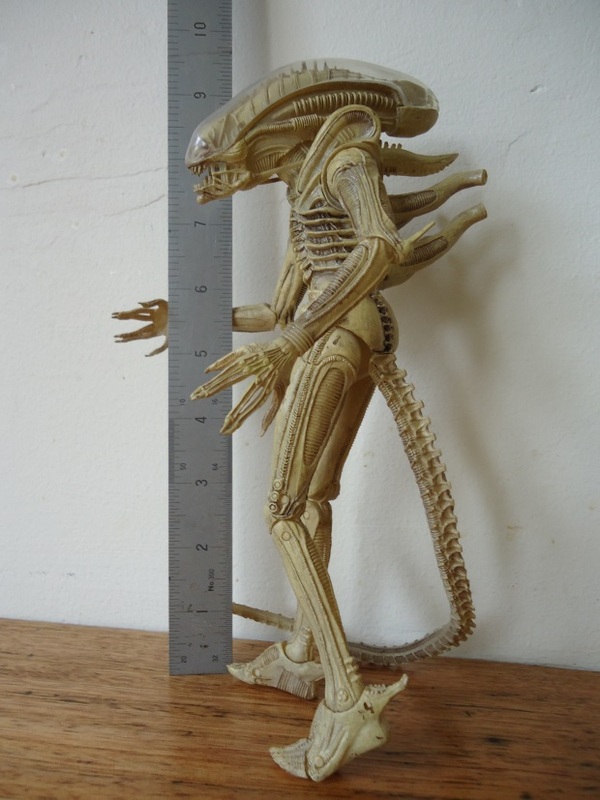 Taking its essential cues from an early prototype version of the original HR Giger designed suit for the first ‘ALIEN’ movie, this item may easily be considered to be a superfluous and unnecesary addition to this long running action figure series. 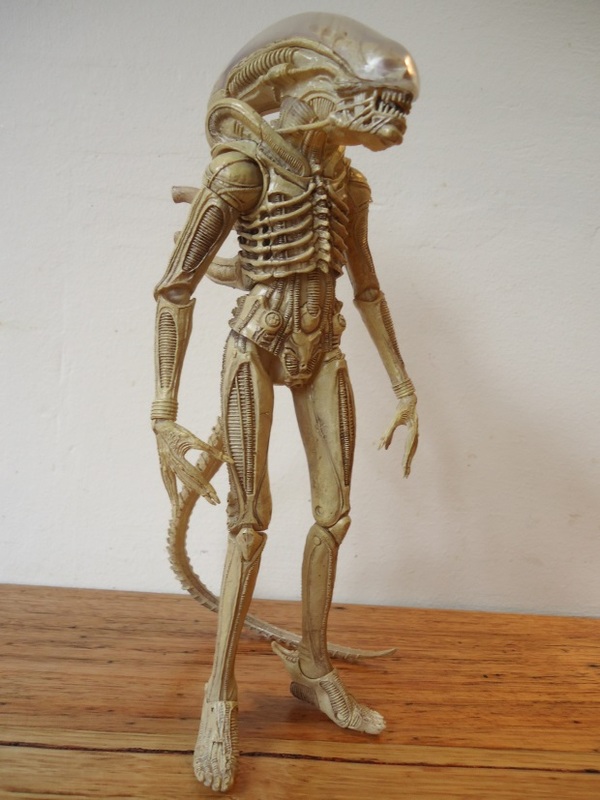 This is abundantly apparent when you realise NECA’s Series 7 translucent Alien is cast from exactly the same mold as their previous Series 2 iteration of the figure. As a result it shares all the common features and articulations that we are already familiar with in that earlier 9 inch tall figure. Mind you, those articulations are extensive and like its predecessor it is capable of a terrific range of stances and poses due to the many combinations of ball, hinge and pivot points appropriately placed throughout the body. 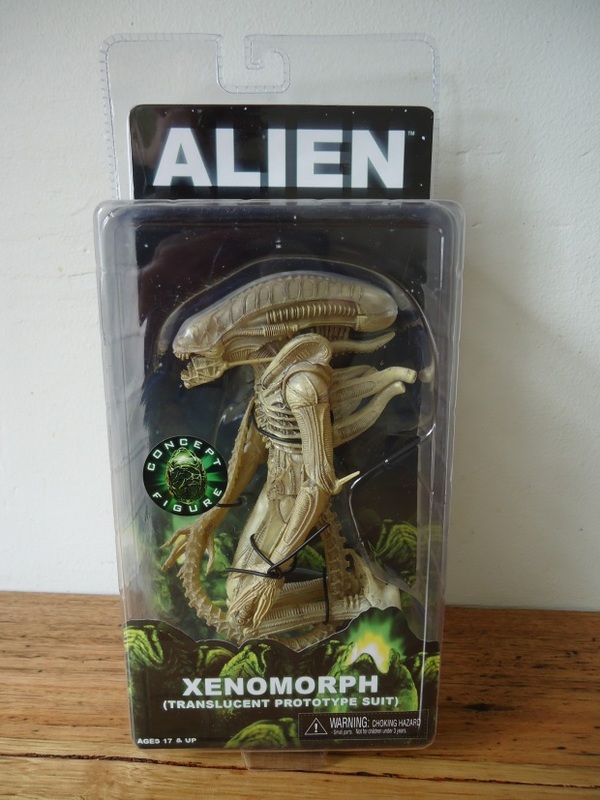 If you already own one of those earlier Series 2 Alien action figures then you will know how well appointed this figure actually is in this regard. Therein lies this latest figure’s biggest issue as it is fundamentally a recasting of an earlier item that many will already be familiar with. So what’s the big deal with this iteration? Why the big hoopla surrounding a figure you may already own? What’s so special about one where the essential difference is its recasting in a different material? Aside from completionists who will simply need it to fill out their collection, this figure’s most noteworthy aspect is the material with which it is made. 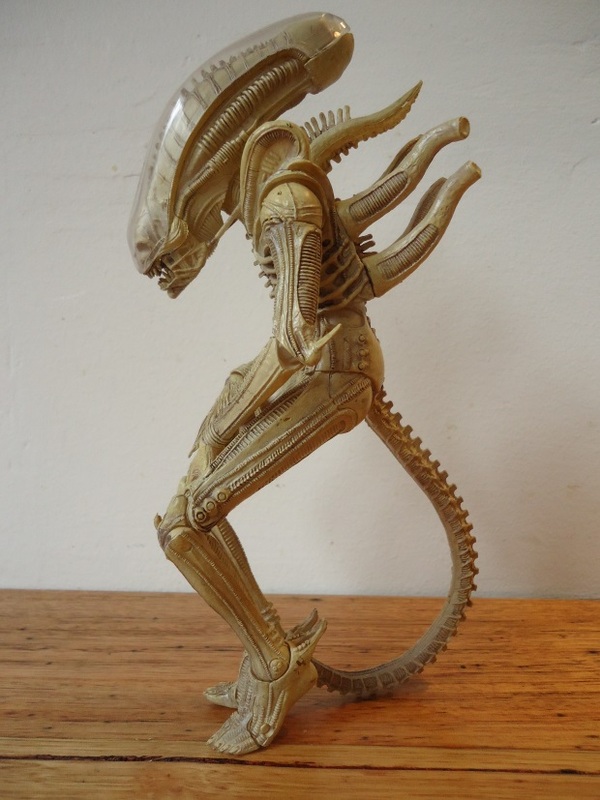 Cast in clear plastic and given a generous coating of cream paint and a further appearance enhancing dark wash within its recesses, it delivers a terrific opportunity to appreciate the figure’s excellent sculpt in a very unexpected way. Previously, this figure was caste in dark plastic and the details were often obscured and concealed by its very nature. Here, with the translucent prototype figure, the darker shadows cast by generously light coloured details strongly contrast to make all the features significantly stand out. The presentation here has become more dramatic and the fine details that would have previously been concealed against darker background are dramatically highlighted. Even the clear carapace upon the head better reveals its underlying contents better than the previous figure’s frosted dome. 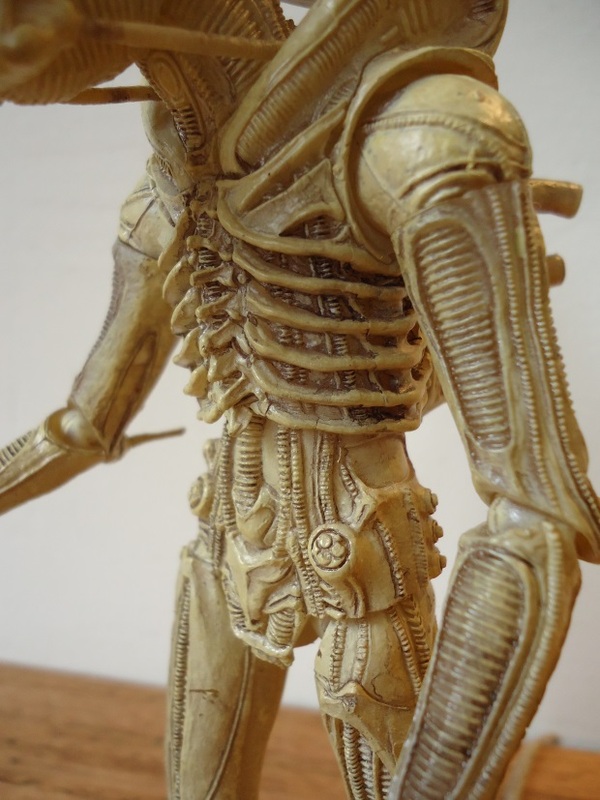 This is a figure that amply demonstrates the amount of detail present in NECA’s sculptings that the earlier, darker iteration does a lot to conceal. Not only does the detail on this figure ‘pop’ but the material it is made of permits its other great feature to be exploited. 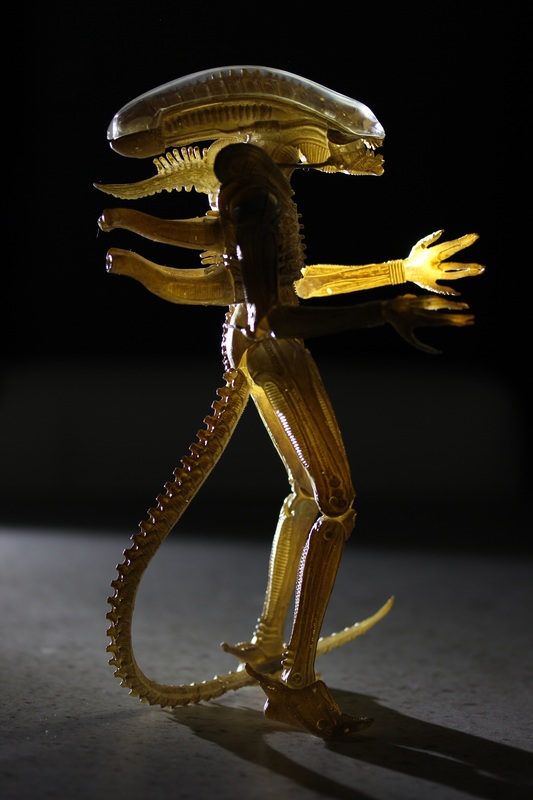 Being made of translucent plastic means light will pass through the figure making it a very good candidate to be displayed in a backlit presentation on your display shelf. This is a great feature when displayed in a darkened room with a rear light source as the translucent material allows the light to enter and scatter within the figure resulting in a very dramatic luminous presentation that cannot be ignored. This is the best way to display the figure and it is under these conditions where it really shines (pun intended) as a unique and justified addition to your collection. On the downside, I did notice some quality issues on this figure. I’ve been blessed so far in regards to these figures to date and none of the previous NECA items in my possession have had any quality concerns and I’ve had nothing to complain about. I’ve often seen and read other people claim that they have had issues and these appear to be common problems with NECA’s figures and this particular sample I am reviewing here exhibits two of them. Firstly, the jaw hinge is fixed in place, jammed and will not open. I did attempt to free the jaw by using hot water but had extremely limited success. You may even be able to see some droplets of moisture inside the carapace in the accompanying photos. The other issue I encountered with the figure is the terminating end of the wire core in the flexible tail has breached the surface where it joins the figure’s base. 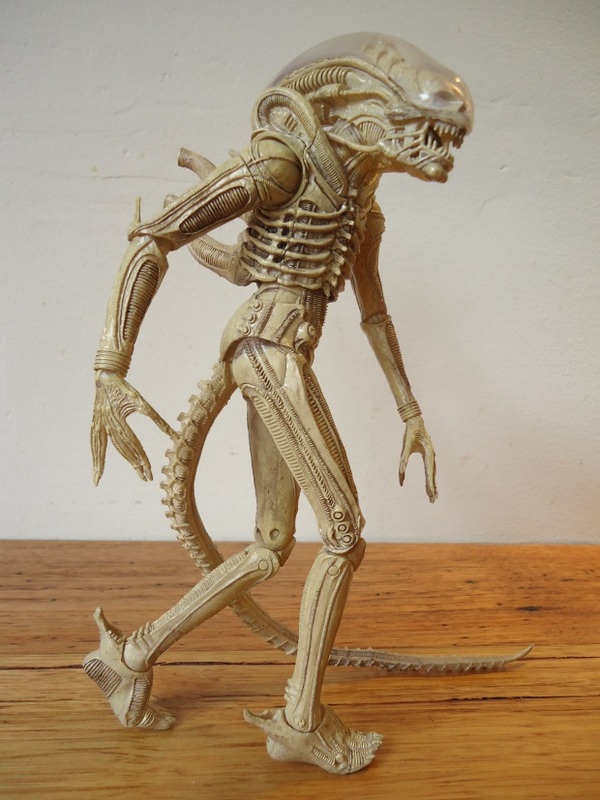 This is a known issue in NECA’s Alien figures and I’ve seen this complaint several times. Now I’ve experienced it personally. 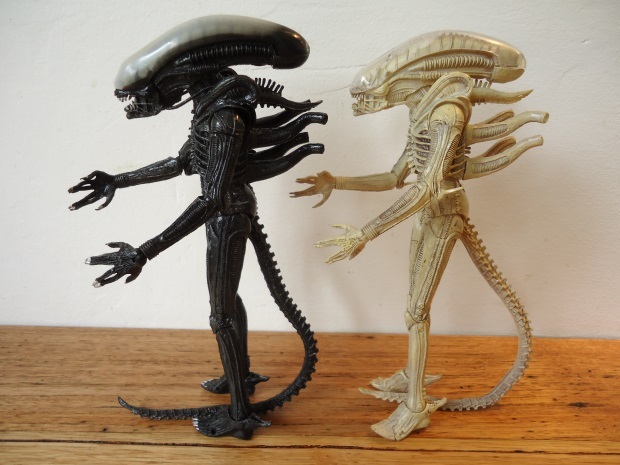 I really love what NECA are doing with these figures. They do appear to be improving in quality in regards to the level of detail presented in the sculpts (notwithstanding this particular item, of course, essentially being a recast of an early figure) but the amount of complaints I am witnessing appear to be growing. 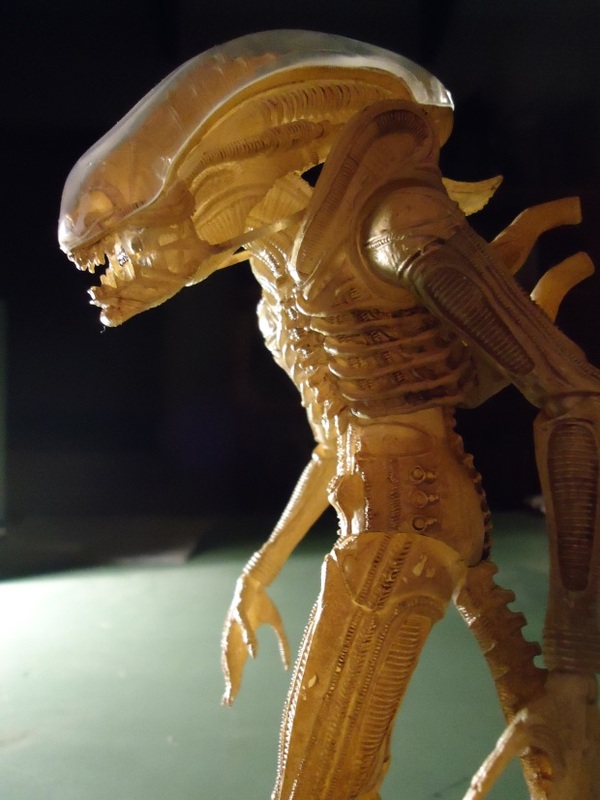 I’m hoping NECA can address their QA process in this regard. They make great stuff that is unfortunately occasionally marred by the odd oversight in functionality and/or finish. 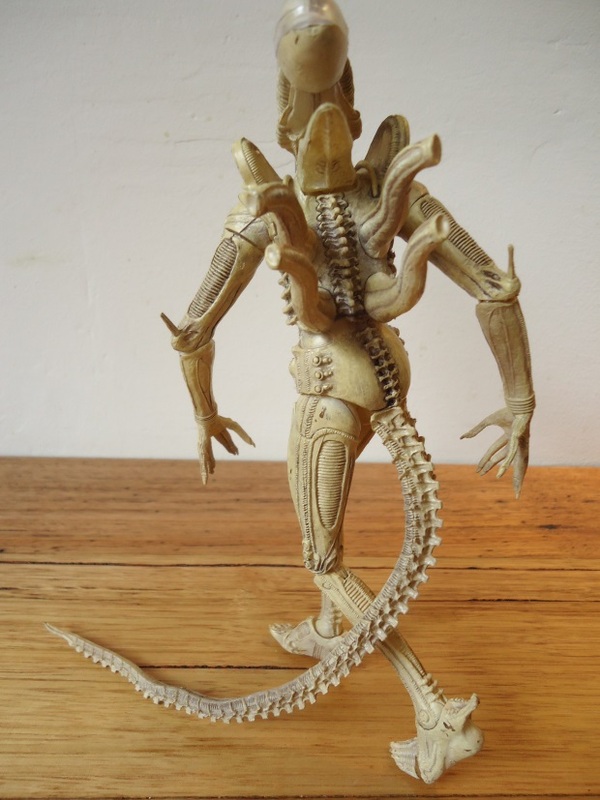 This is a great tribute figure to a little known aspect of the movie monster’s development during its design cycle but you may not be too enthralled with the notion of buying one just to honour this obscure fact. It’s also essentially a recasting of a previous figure and as such this presentation may not be to your desire. 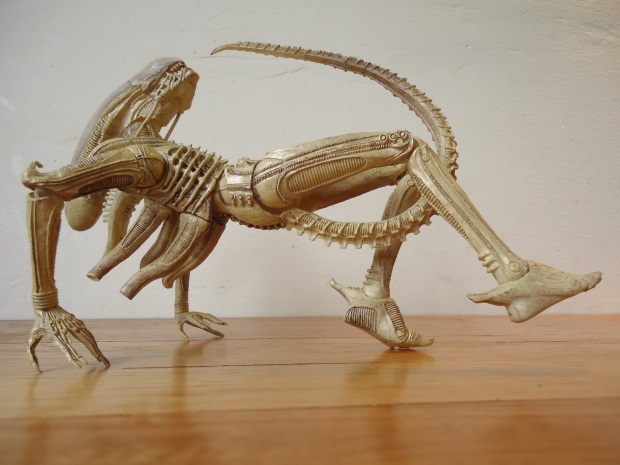 On the other hand, it’s a welcome and creative interpretation of a figure that pays homage to the very early days of the first movie’s production when the Alien was still a mysterious entity. If you do choose to purchase one, take your time to at least admire at length the terrific detail that this casting provides. Furthermore, witnessing it backlit in a darkened room is an absolute ‘you must do this!’ exercise to be experienced personally.